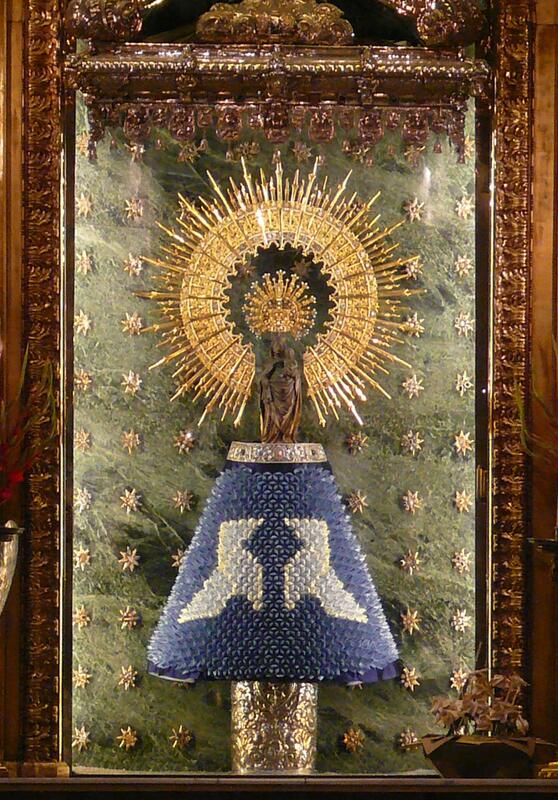 On August 6th puts to the Virgin of Pilar the paper mantle from the Zaragozano Papiroflexia Group, since 2007 is placed every August 6th the mantle consists of 1,536 papers. August 6th is World Day of Peace, in 1945 the atomic bomb was thrown on Hiroshima, at the Peace Park in Hiroshima in Japan remember with folding cranes and placing them at the monument of Sadako Sasaki, in Zaragoza we celebrate putting the mantle of paper, and folding cranes and pajaritas at the Plaza del Pilar. On August 6th in the morning from 11 am to 1 pm members of Zaragozano Group Papiroflexia will be in the Plaza del Pilar, next to the metal Pajarita next to the information office to inform about the museum and teach origami to people who come to the Pajarita.